Established in 2010, Lemaitre Publishing specializes in publishing for the modern reader. Our vibrant team is dedicated to producing top quality content that goes above and beyond the needs and expectations of our customers. Over the years, Lemaitre has created several collections that aim to provide digital access to knowledge and important concepts. The LePetitLittéraire series are designed for literature enthusiasts who really want to get to know their favorite books, the 50Minutes books are the perfect guides for anyone who needs to learn a complicated subject in a short amount of time and LePetitPhilosophe is a collection that simplifies and explains famous philosophical notions. Our collections are available in print and digital formats and can be purchased within seconds from all online ebook sellers. The 50Minutes collection is written with the modern day reader in mind. Available in digital format from all major digital booksellers, our publications can be yours to keep in just a few clicks. 50Minutes.fr strives to create straightforward and practical books on a range of important topics, such as business, art, history and self-improvement, that are high quality and easy to use. Each book provides key concepts, real life applications and insightful case studies to help you really get to grips with the topic. 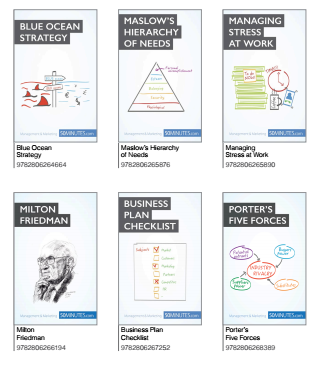 The 50Minutes collection is perfect for anyone who wants to read more about subjects that interest them, become an expert on a complex business concept, or simply save time. This efficient collection has revolutionized learning by providing vital tools for students and business people alike and allowing readers to master anything in only 50 minutes. If you want to stop wasting time and start learning new things, 50Minutes is the answer. companion to your literature journey. 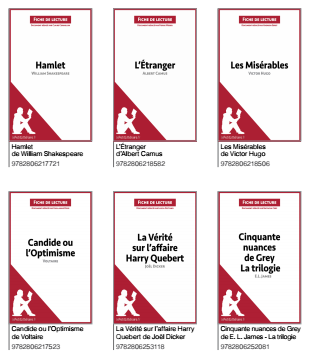 Available in print and digital formats, LePetitLittéraire.fr strives to present easy-to-read, high quality book analyses that have that little something extra. Each book analysis is written with students and literature enthusiasts in mind, and they provide you with the essential information and offer a detailed insight into the core themes and interpretations of each work. These guides can be used if you want some help with your studies, if you want to find out more about your favorite books, or even if you want to explore a masterpiece but don’t quite have the time to read it. lePetitPhilosophe is a revolutionary collection designed to simplify even the most complicated of philosophical concepts. Available in digital format, the collection can be downloaded from all major digital booksellers. 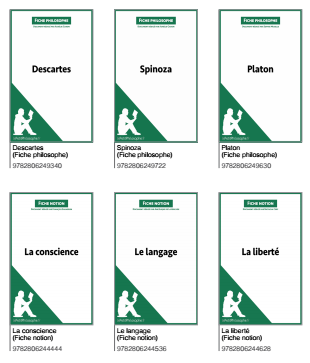 LePetitPhilosophe strives to create understandable and engaging books on a range of philosophical ideas that are high quality and easy to use. Each book explains the different approaches and applications of each philosophical notion, including all the essential information that you need to know, as well as illustrations and tips that set them apart from other publications.